Vendor Versions is a bar panel for Tracy debugger. It loads composer.json and composer.lock files and shows you versions of all currently installed libraries. 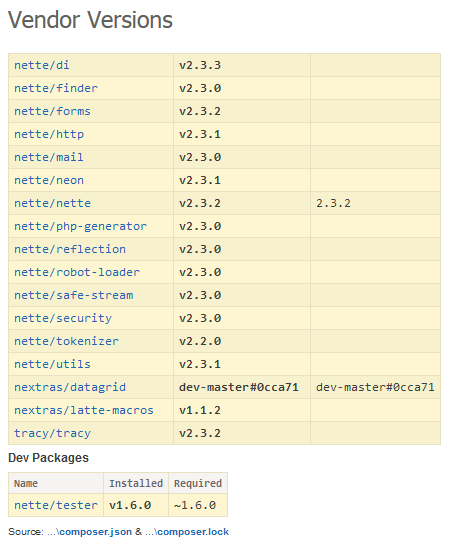 Use Composer and require milo/vendor-versions package.